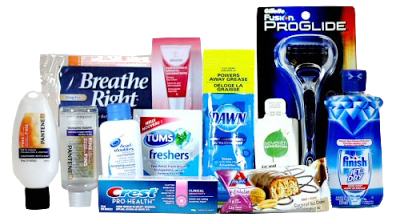 Complimentary Crap constantly strives to find the best free samples by mail 2017, free stuff, freebies and coupons and has been doing so since 2007. We have made it convenient for freebie finders by posting all the real samples 2017 in one place, we try to bring you all the good ones. All the deals we list on our site are totally free of charge without any catches. Begin signing up for deals and soon you will be receiving free samples in the mail almost every day. Never miss a posted freebie, sign up for our free stuff newsletter located on the top right of this page to get the daily email. ComplimentaryCrap.com is your place for free samples without a catch! The group here is very dedicated to finding your hundreds and hundreds of offers that will fill up your mailbox. Tons of companies are willing to give out free stuff in order to get their products into your hands. A little test drive. But really, who has the time to locate all these great deals? We do. Don’t worry about the offers we post taking up all of your time, we try to post the freebies with simple signup forms. Yes it is actually, a whole lot of free. Complimentary Crap may be the only freebies site you need to visit in order to find all the legitimate free samples 2017. We mostly avoid posting free sample samples offered by middle men because if a company really wanted to out a sample they’d do it themselves. We truly want the offers we post on our site to be a success, when the link is from the exact company that is offering the freebie, the free sample is more likely to arrive in your home mailbox. While we do parse through hundreds of free offers we do find quite a bit that are legitimate free samples by mail that we are eager to post. Where do I start with that question? All sorts of companies and organization give away free stuff for a variety of reasons. Largely, freebies are given for three reasons; advertising, brand awareness, and for a cause. Advertising and brand awareness go hand in hand as advertizing will lead to brand awareness. When new products hit the shelves, either theirs or a competitors, or when established products need some attention free samples are offered. When when know about these we post them right away. Some free things given out because a non-profit or another entity wants to spread to word regarding something they truly care about. It all amounts to free samples available for our visitors daily! Get started here if you don’t know exactly what free samples by mail you’d like. The very latest freebies are posted here each day, hurry, sometimes they go fast. Free Stickers – Stick em here, there and everywhere, free sticker! Included here are free bumper stickers and even stickers that seem to have no meaning at all. Samples of diapers, sippy cups, baby formula, pacifiers, and more supplies just for your little angel. Everything that you sign up for free samples by mail. Here we offer free things including garden supplies, laundry detergent, cleaners, and more. Everything is updated daily so don’t miss out on a single offer. Feminine and things of interest to females including at times Mary Kay, Maybelline, Dove, Pantene and more free offers sent by mail to your home. They offer anything from lipstick, shampoo, eye liner, foundation, lip gloss and more.